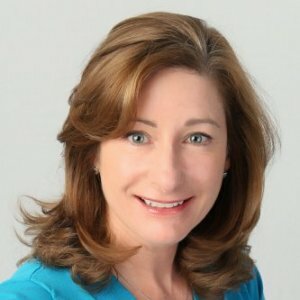 Laurie McCabe brings more than 20 years of experience in the IT industry to her current role as Partner at the SMB Group. Laurie has built widespread recognition for her capabilities and insights in the small and medium business (SMB) market in several areas, including cloud computing, software-as-service (SaaS), collaboration, business solutions, social networking and managed services. Laurie’s expertise in market, channel and competitive analysis helps vendor clients capitalize on shifting market trends, and create successful go-to-market and outcomes. From 2009 to 2010, Laurie was a Partner at Hurwitz & Associates, where she co-authored Collaboration for Dummies (Wiley Publishing) and led SMB-related projects. Prior to that, Laurie served as Vice President of SMB Insights & Solutions at AMI-Partners for five years. In this role, she directed syndicated research in the business solutions area, and led numerous projects to help clients enter new markets, launch solutions, and elevate brand awareness and consideration in the SMB market. Previously, Laurie was Vice President at Summit Strategies for seven years, where her original research and analysis of the emerging SaaS market earned her broad recognition as a thought leader in this area. Laurie’s nine years at Digital Equipment Corporation, including her last role as Director of Market and Competitive Intelligence, provide her with critical experience from the vendor perspective. Ms. McCabe is frequently quoted in leading business and trade publications, has been a featured speaker at many industry and vendor events, is a frequent blogger, a regular contributor to Small Business Computing, and a 2011 Small Business Influencer Champion in the Gurus category. She holds a bachelor’s degree in communications and psychology from the University of Delaware, and has completed numerous graduate-level courses in business administration. Having trouble staying on top of what's new in the technology market? Confused about what solutions can really help your business? You're not alone--our recent survey shows that most small businesses find it difficult to keep up with technology trends, and have trouble figuring out what solutions can really help their businesses. This presentation will zero in on several technology trends that you should know about and take advantage of, including small business application marketplaces, next-generation cloud applications, social media management and more. Having trouble staying on top of what's new in the technology market? Confused about what solutions can really help your business? You're not alone--our recent survey shows that most small businesses find it difficult to keep up with technology trends, and have trouble figuring out what solutions can really help their businesses. This presentation will zero in on several technology trends that you should know about and take advantage of.